In writing this article, I can only tell you what I know about the reasons why gold bugs are wrong. I am not claiming that I have a crystal ball, only that some things gold bugs claim about our financial system are incorrect. The purpose of the central banks is to help the banks and steal from the people. The system is corrupt from the beginning. It isn't called money changing for nothing. A fair return is not in the interest of the bankers. Keeping interest loans low and using scams to do it like LIBOR manipulation, the US MBS scam, off balance sheet banking, bogus Gaussian copulas and bogus risk management and forcing companies to take fixed high rates on interest rate swaps as a condition of loans, should all be enough to show that it is a giant criminal enterprise. I have not decided whether the quest to keep interest rates low in and of itself is criminal or if it is just good business necessary to the survival of the banks. Perhaps survival of the banks is a necessary evil in our world and low interest rates are a necessary evil, but evil nonetheless. After all, in our credit based upside-down system, treasury bonds are the new gold, and back our not-so-fiat currency. But certainly some methods use to drive down interest rates, like LIBOR, were likely criminal, although everyone is innocent until proven guilty in court. Other methods of shoddy risk management, such as the adoption of a Gaussian Copula, the formula for assigning risk to bogusly AAA rated CDOs, borders on the criminal. No efforts were made to apply RICO law to this regime of mismanagement, but they could have been made. Even the concept of hiding loans off the balance sheet, permitted at Basel 2 along with the flawed formula, should be illegal, since you are hiding a firm's financial health from investors. Also, I am not out to disprove that supply and demand cannot influence the price of gold or drive it up. I am not out to prove that gold is not a reasonable hedge against the possibility of inflation. I am attempting to prove that the underlying theses for buying gold, weak treasury demand and a strong economy that could lead to serious inflation, simply are not going to happen. Gold bugs are quick to point out that in any Fed exit where it unloads treasury bonds, there will be a massive rise in interest rates and there will be weakening of demand for the bonds. But I have pointed out that treasuries serve a purpose now, and that purpose is to be pristine collateral in a world sorely lacking pristine collateral. Therefore, treasury bonds that are well rated are actually the currency that backs our fiat money. Gold bugs fear fiat money. It is a necessary evil. The Apostle didn't say that fiat money was the root of evil, but rather that all money is the root of evil. So, gold bugs, settle down. Let's look at the facts. Gold and silver and jewelry is facing little demand on MainStreet USA these days. In fact, I spoke to a jeweler a few days ago who told me that the public is not buying jewelry. Why? Well, the wall between the financial sector and massive excess reserves on the bank balance sheets and MainStreet is a really tall wall. There has been little bleeding of the money supply into MainStreet. If there was, the average guy would be buying a lot more gold, but he isn't! Adding to this reality is the fact that treasury collateral shortages are approaching, both here and more so in Europe, and you can see that treasuries are being oversubscribed for a reason. We did see an almost failed treasury auction in February, 2010. 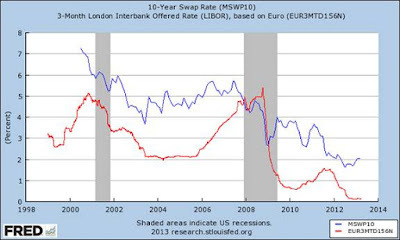 But after that, as Market Oracle said, the use of the interest rate swap contract kicked into gear. The interest rate swap contract, as I explained, makes it impossible for companies to get a loan without taking the fixed high interest position in the swap. This is fairly new, gold bugs. In my view, and Oracle may disagree, this changes the game. As long as most contracts require swaps on the part of the companies coming for loans, then demand for pristine collateral, demand for US treasury bonds, is never ending. Some say it is artificial demand for bonds. But it looks pretty permanent to me! Of course, this gives the banks new insulation against failing. The interest rate swap market makes the MBS market look like a gnat on an elephant. It is huge, upwards of 700 trillion dollars. Talk about restoring confidence. There are issues with this market, that should be noted. First is the issue of collateral. I argued that Bernanke wants a Backstop, the Bernanke Backstop, so the MBS could be elevated to pristine collateral for this interest rate swap market. The issue with this, of course, is that in order for the US government to guarantee the MBS, the position of the US government could be weakened. The central banker has to walk a fine line, pushing for growth of MBS in a mini housing bubble, while also keeping US treasury bonds pristine. The central banker will also have to make sure that there are tools to pump the economy if we approach negative interest rates, which are make believe numbers and require other stimulus. Look for possible depositor raids in the USA if contagion takes place here. The bankers are committed to low interest rates for a long, long time. They are committed to keeping the banks from failing like the S & L's failed in the 1980's when Volcker jacked up interest rates. They are committed to keeping US treasury bonds pristine. These TBTF banks have too much to lose, and they are the financial system, not just part of the system as the Savings and Loans were. I could see a time when treasuries become so valuable that people would eagerly pay the US government interest to get them! So, gold bugs, there is just so much proof that your position is weakening, that you may as well diversify. I am not saying gold is not a store of value. It is. But it isn't a pristine collateral. It isn't something to go all in on, in my opinion. The only way this plan for low interest rates and Fed control fails is if the economy totally tanks. If there are lots of companies that go under, fewer companies will be forced to borrow from the TBTF banks. They may just give up! If that happens, there will be serious turmoil in the system and the banks could appropriate savings in what is known as a bailin, like what happened in Cyprus. And this destruction of the banks could be premeditated if the situation becomes dire in the lending business and in the interest rate swaps business. But this, IMO, is a long way off if it happens at all. For now, we have slow growth, bordering on slow retraction. A large retraction should be a sign to get your money out of the big banks! Either way, MainStreet will continue to suffer greatly. The savers are going to continue getting crushed. It is a new normal that won't end. 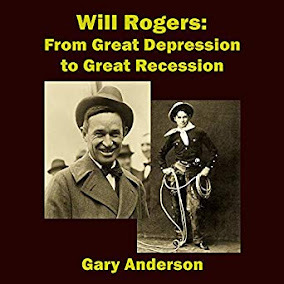 Something resembling a Great Depression is just under the surface in many US communities, and certainly the high wage jobs for the less educated are dwindling fast. Update: Shorting gold could be a bad idea as gold is now being used as collateral in derivatives markets. That could give a boost to the metal although that boost is hard to measure in pricing gold. Disclaimer: This article reflects my personal opinion and is not to be considered professional advice. Seek the advice of an investment counselor or an attorney before making any investment decision.